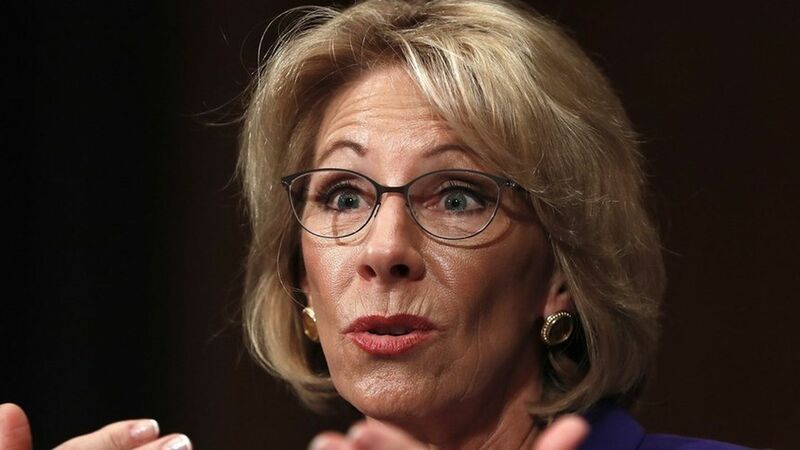 Education Secretary nominee Betsy DeVos is an investor in troubled blood-testing company Theranos, according to her federal disclosure documents. That makes her the second Trump nominee to have ties to Theranos, following confirmed Defense Secretary James Mattis (who actually served on the Theranos board). DeVos doesn't break out how much stock she holds, except to say it's valued north of $1 million. It does not appear that DeVos plans to divest the Theranos stake, if confirmed. She does, however, plan to sell her positions in many other investments, including stakes in dozens of private equity funds.